anticipated. 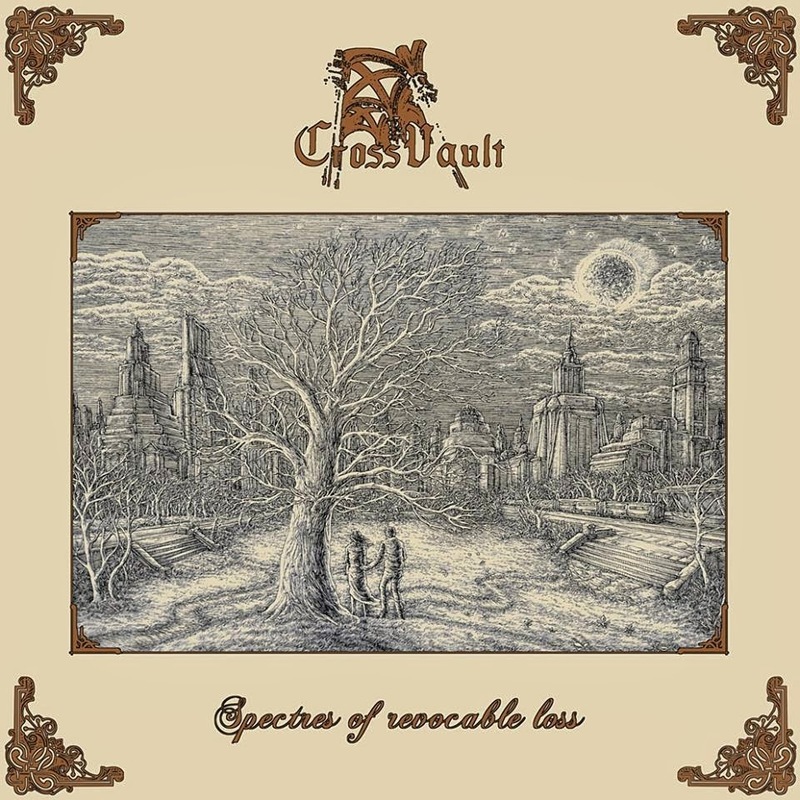 Cross Vault consists of N. (Nerrath/Niklas Thiele who has been involved in a plethora of German metal projects) on vocals and drums and M. on guitars and bass. Their intention is to evoke fathomless streams of despair upon their followers and trust me Spectres of Revocable Loss will satisfy each and every wretched soul out there. Much like the cover art which is inspired by George Orwell's classic dystopian novel 1984 there's a sort of dark romanticism all-over the record which is most apparent on "At Our Bleakest" as it is directly referenced with the demise of Winston and Julia. 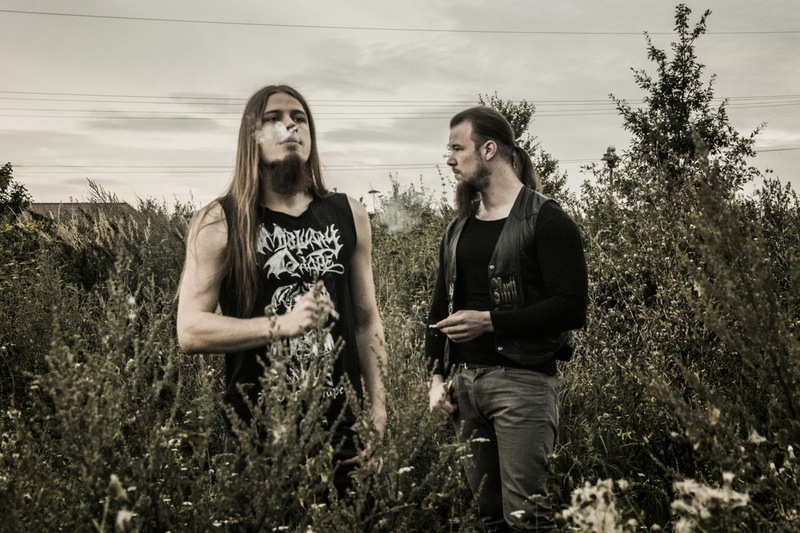 The overall sound remains slow and ponderous to slightly mid-paced throughout with quality spellbinding doom riffage and an exceptional melodic nature for instance "A Query in Chains" which is already a stone-cold classic in my book. A not so usual but remarkable doom metal ballad much like Type O Negative's "September Sun". I have to reiterate that their melodic sense is absolutely astounding. The way they execute melodic leads interlaced with acoustic passages on "Void of Old, Void to Come" and "Rails Departing" is nothing short of hypnotizing. introspective vocals in rest of the album. A well-executed cover of Warning classic "Footprints" concludes the record. It's actually quite fitting like serving as the aftermath of Winston and Julia's bleak demise which is the subject matter of the penultimate track as mentioned before. Spectres of Revocable Loss is a remarkable debut and without a shadow of a doubt one of the best metal albums of this year. Do yourself a favour by plunging into its gloomy depths to embrace the chalice of entropic wine.